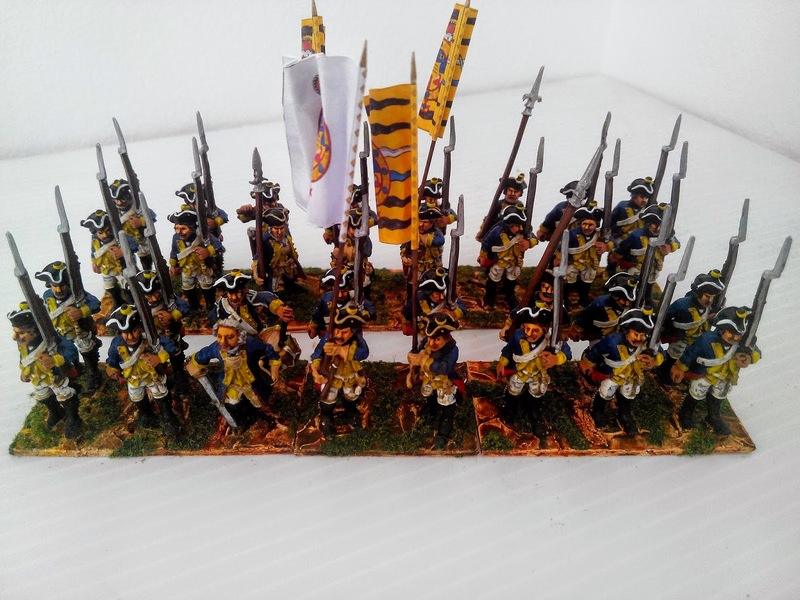 Here is the last Wurttemberg infantry unit I will be painting and it is a unit that served with the Kreis army. In the fullness of time I will probably paint the entire Kreis force from each Circle. It was these beautiful flags that drew me into an interest in the Kreis Circles many years ago and this type of flag appeared to be used in the south-western corner of the Empire - Baden-Baden and Baden-Durlach, both neighbours of Wurttemberg, had similar flags. This regiment appears to have been only one battalion strong but at some time either during the SYW or just prior to it, it was increased to two battalions. 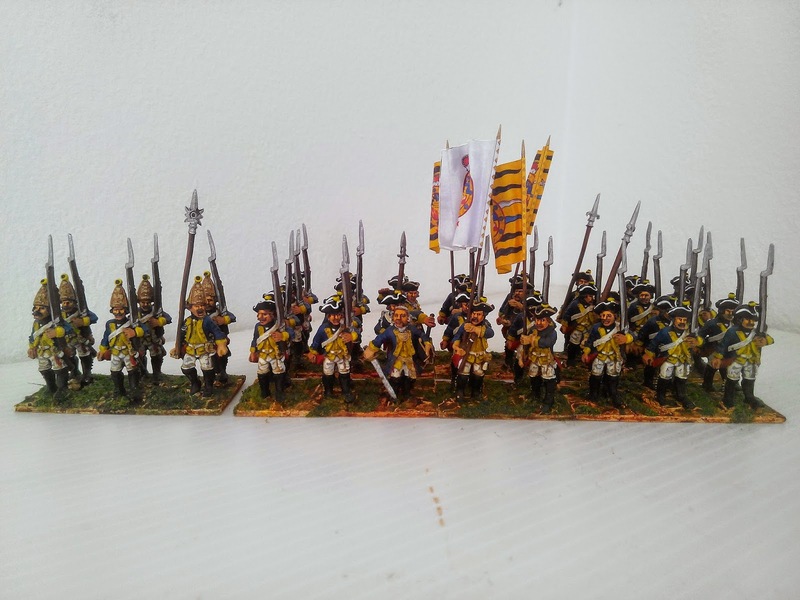 The grenadier company will be detached for service with other grenadiers. At an earlier date this unit may well have all worn the mitre but during the SYW they wore the tricorne, the switch possibly taking place when the regiment went to two battalions from one. I'm off to the USA tonight for a couple of weeks to celebrate my 60th birthday so there will be a pause in painting. Beautiful work on this unit! happy birthday and pleasant journey to the States. Great looking troops, fantastic colors...and happy birthday! Great looking regiment. It's amazing how the yellow facing and small clothes give the unit a distinct look. Very pleasant on the eye. 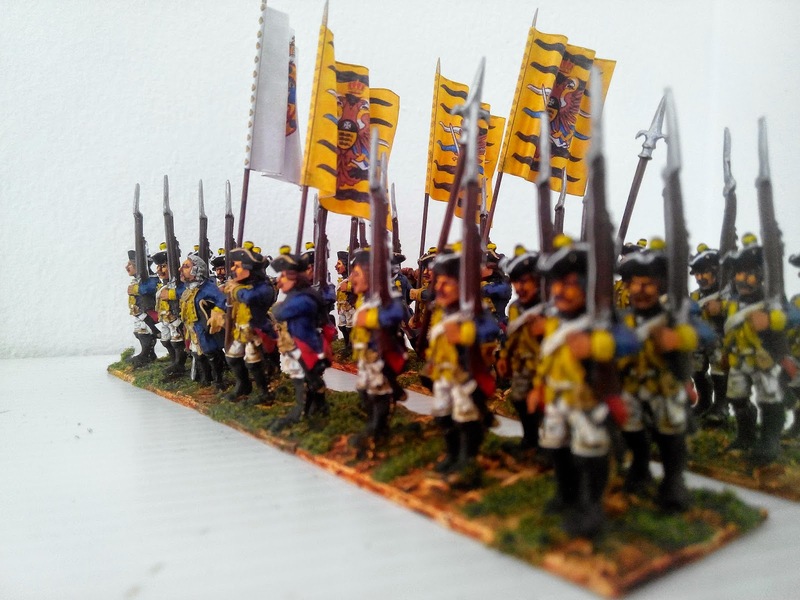 I have a 'cadre' colour party in 10mm (with intent to expand to a full unit - yet to happen!). 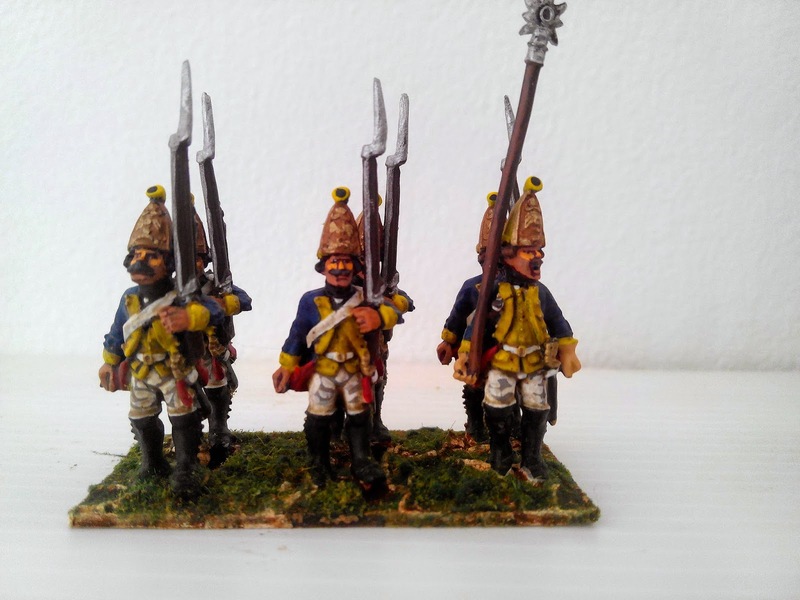 Painted them in tricornes then subsequently came across sources which suggested they wore fusilier caps. 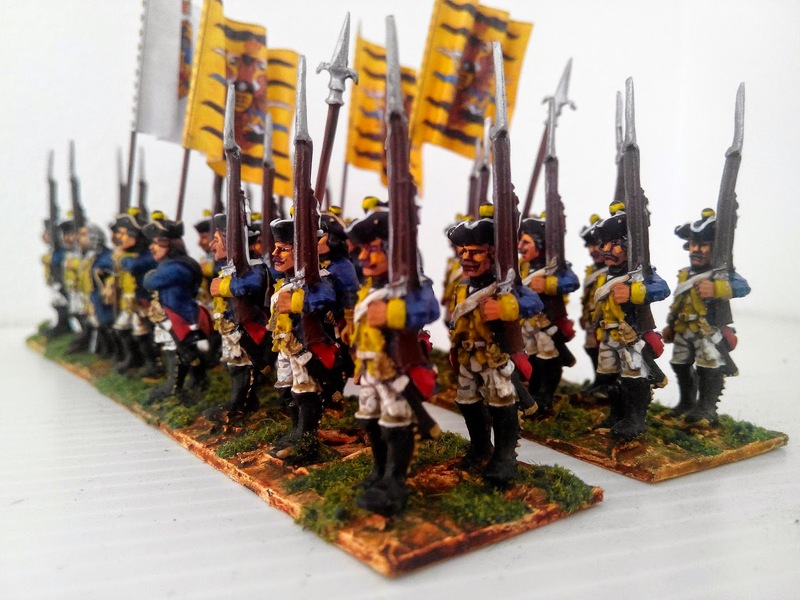 After a few curses, reasoned that tricornes would have been a cheaper option for Reichsarmee service - so glad to read you think they wore the tricorne during the SYW!